Have you ever tried to walk around Bennington? Over the years it has become easier for pedestrian travel, but there are still many places where it is unsafe for foot traffic. From Applegate to WillowBrook there are places where people are forced to walk in the road itself, restricted by guard rails. 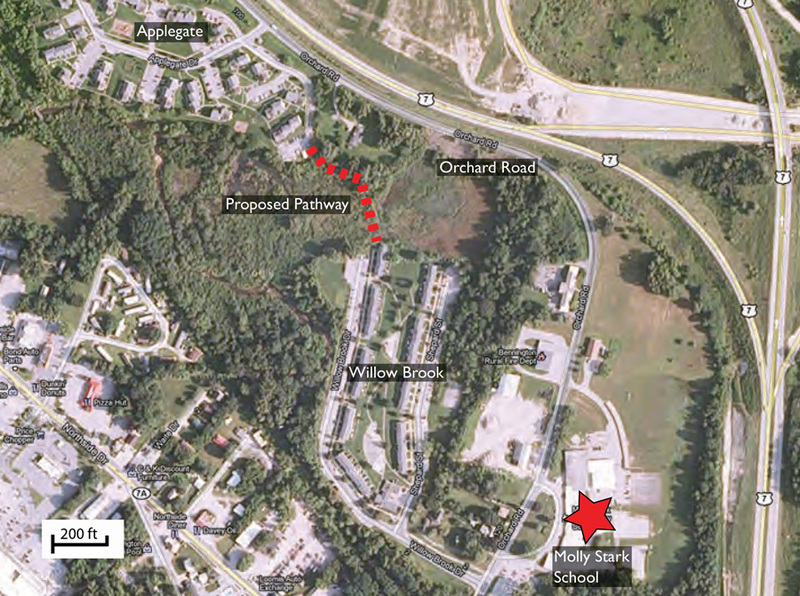 The proposed trail will provide a safe, scenic path for residents.